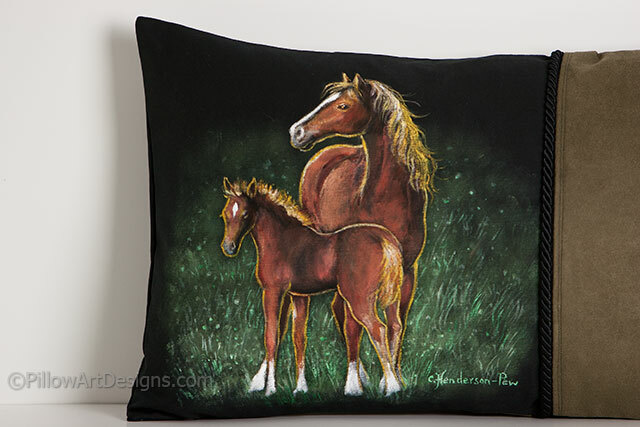 Mare and colt stand in green grass as painted on this artistic accent pillow. 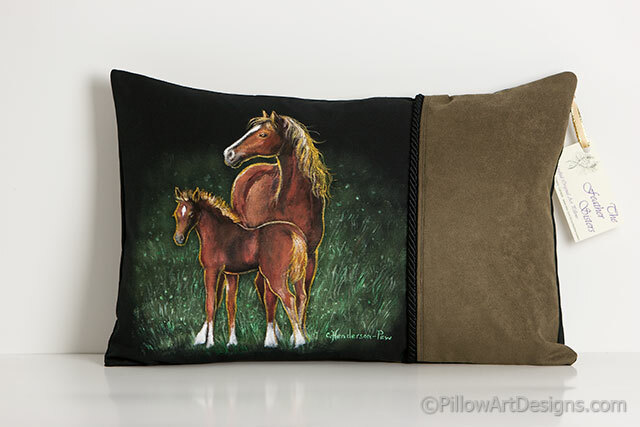 Both brown horses have a white blaze and tall white socks that really pop against the deep black of the pillow fabric. 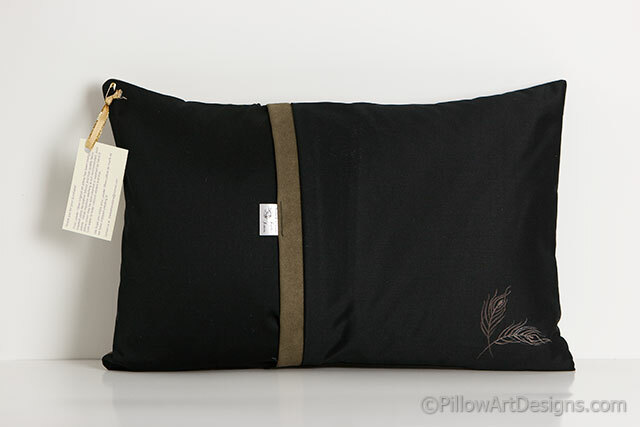 A moss green offset panel in faux suede edged with black piping sets off the luxurious styling of this decorative horse theme pillow. All Feather Sisters fine art pillows are painted and signed by Canadian artist Carol Henderson-Pew. Feather Sisters logo painted on bottom back corner.